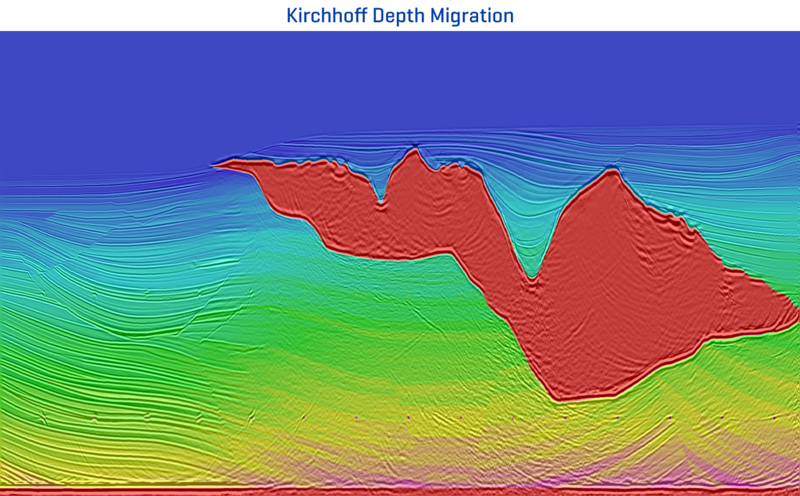 For the most geologically complex environments, time migration may not be an adequate approach for imaging the subsurface. In these situations, depth migration becomes a more suitable solution. The SeisUP® processing package includes an advanced pre-stack Kirchhoff depth migration module that employs a powerful and efficient depth imaging algorithm. With multiple options for ray tracing and the ability to handle different types of anisotropy, our software allows the user to image even the most structurally complicated subsurface features while preserving seismic amplitudes.